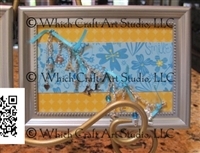 Can be customized with any text or image. 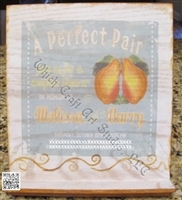 Made/embellished using the couple's wedding shower invitiation. My client commissioned this piece for her friend who was recently widowed. The inspiration for this piece was, as the widow described it, the "hole in her heart" where her husband used to be. I accompanied this custom designed all hand cast/hand made necklace with a prayer that my client gave the widow saying she wished that the hole in her heart woud soon be filled with only happy memories. Entirely made of .925 sterling or .999 sterling and customized specifically for you or your intended recipient. Charms can be custom hand cast and fired to many sizes and shapes.